"We were originally planning to change the card mix in September, but... well... some stuff happened and we didn't." - Kathy Ice. Card Collector Confidential, Scrye Magazine, Feb 1995. Imagine if you will. Ireland, a game store in the late summer of 1994. Magic has celebrated its one-year anniversary. Players are cracking boosters from the newly released The Dark, dreaming about opening the legendary Leviathan. A couple of novice mages have just built their first decks from a few packs of "Gathering". Spells like Clone and the flavor of the Oi-Oi Troll capture their imagination, as they are yet to find out about Doppelgangers or Juzams. At another table in the store, two old sharks who have played the games for many months are slinging with their finely crafted decks. Decks with price tags of tens or hundreds of dollars even at the time. New playmats are used to protect their cards. A similar scenario plays out at their table. I would never have guessed. If someone had told me a few years back that 93/94 tournaments would attract more players than the national championships in Vintage, or that players would travel multiple time zones to battle for a Giant Shark, it would be hard to not be a sceptic. By this time tomorrow, we'll be deep into the world championships in 93/94 Magic. 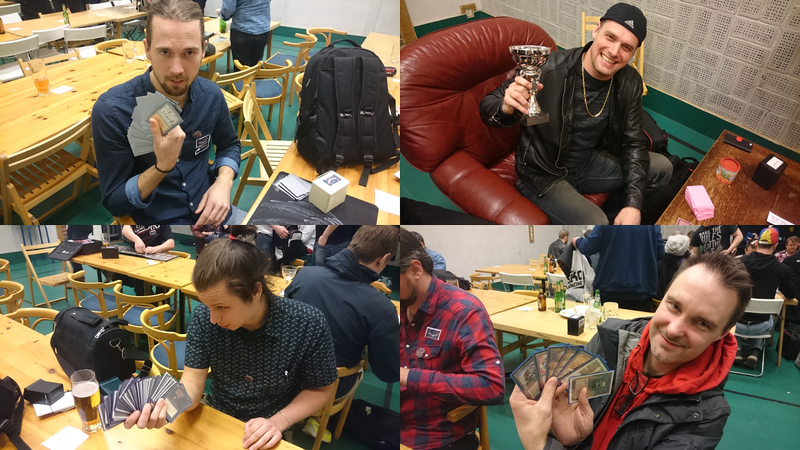 It is my favourite casual Magic event of the year, with so many great players gathering to battle, drink beer, and show off amazing decks. Really looking forward to see you all tomorrow!